Above: Installation View, “Louise Bourgeois: An Unfolding Portrait” At MoMA. Image © Artifactoid. I love artwork by Louise Bourgeois. Her recent show at the MoMA was beautiful and you can see her sculptures in the permanent collection at Dia: Beacon. Up to and following her death in 2010, her dark, sensuous surrealism (consciously or not) continues to influence a new generation of artists. While not always as heavy nor activist as Bourgeois in their subject matter, these artists each reference certain elements of her style in original ways. Here are four that are remarkable. 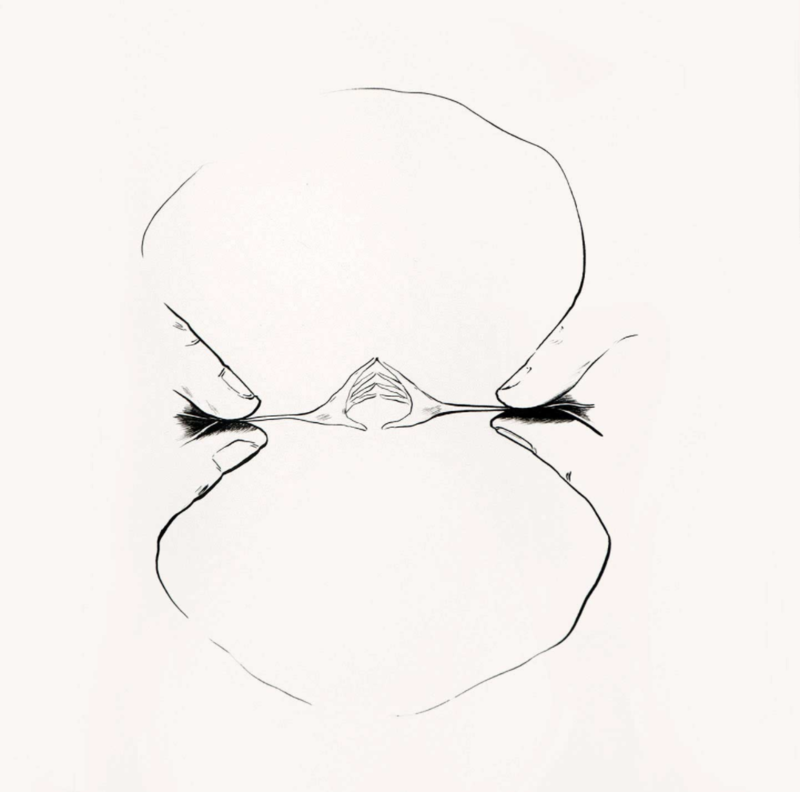 Rita Ponce de Leon, image from the drawings on paper series, “Nuestros, Nosotros,” 2015. 25 x 25 cm each. Image © Rita Ponce de Leon courtesy 80m2 Livia Benavides. Rita Ponce de Leon‘s (b. Lima, 1982) work comprises surreal drawings and sculptures that gain power from their delicate intimacy. She works with pen on ink, clay, and Papier-mâché among other media. Last year I saw her beautiful installation at Proyecto AMIL in Lima that showcased many of her techniques, including heated sculptures to hold in your hands and drawings directly on the wall that scaled from floor to ceiling in the ample exhibition salon. Ponce de Leon is represented by Galeria 80m2 Livia Benavides based in Lima, Peru. Geng Xue, “Oceans Roar,” 2016. Porcelain and sound installation. 39 3/8 x 13 3/4 x 7 7/8 in. Image © Geng Xue, courtesy Klein Sun Gallery. Geng Xue‘s (b. China, 1983) visceral ceramics captivate the imagination and bring us closer to our humanness. Attuned to sensory experience, Geng Xue often incorporates elements such as sound into the works, as in the above pictured piece, “Oceans Roar.” Geng Xue also creates animations that bring the pieces to life. C.J. Chueca, “Neal,” 2015. 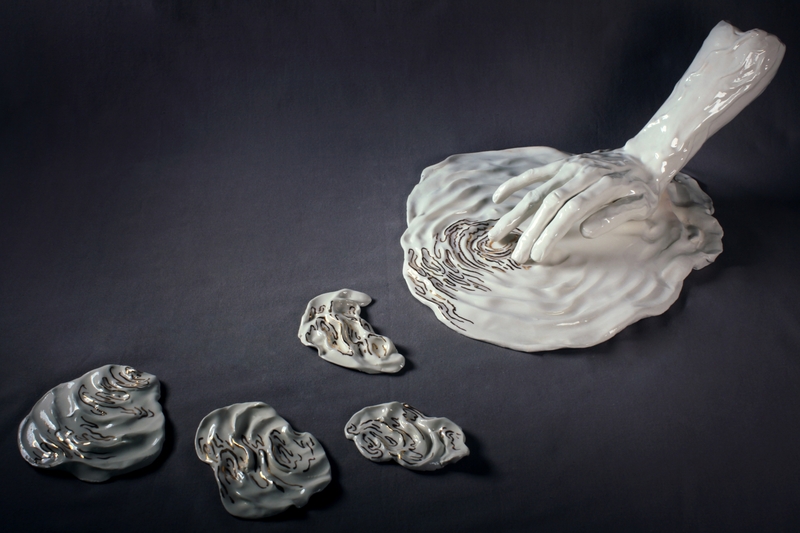 Ceramic, 9 1/4 × 3 1/2 × 2 in, 23.5 × 8.9 × 5.1 cm, Unique. Image © C.J. Chueca and Artsy. C.J. Chueca (b. Lima, 1977) grew up moving nomadically between Perú and México, where she frequently came into contact with homeless people, nursing home residents, and psychiatric patients. According to a 2016 exhibition essay on her work authored by critic Eleanor Heartney, these experiences “stoked a deep sympathy for the dispossessed” in Chueca. 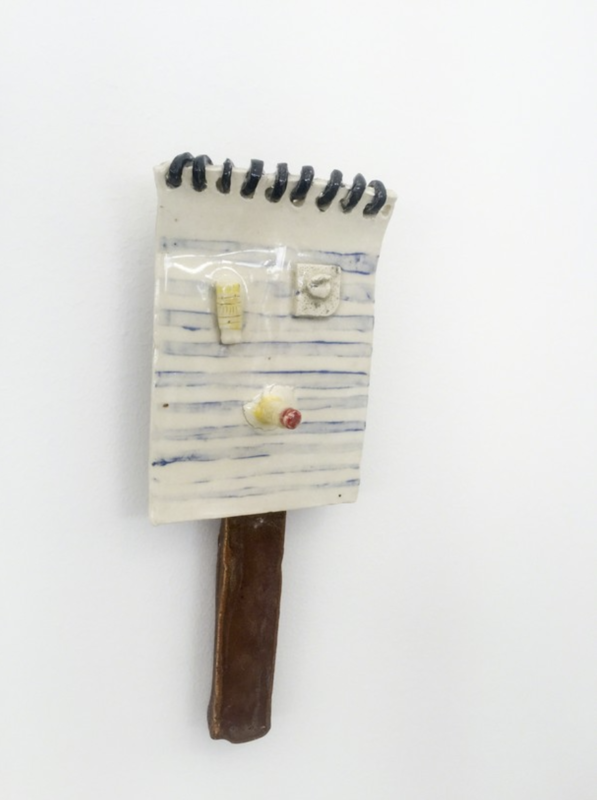 Chueca’s porcelain wall reliefs are portraits of homeless men and women from her memory, modeled after assemblages of found objects. Installation view, “Hoodoos,” at Johannes Vogt Gallery. Image © Johannes Vogt Gallery. Jasmine Little (b. Virginia, 1984) is a technically gifted surrealist painter and sculptor whose works draw from emotion, memory and nostalgia rather than physicality. While most often related to Chagall or Matisse, there is something about the visual style and sensitivity of the pieces that recalls Bourgeois for me. Little is currently having a solo show, Hoodoos, at Johannes Vogt Gallery on the Lower East Side through April 28th, 2018.